The Toyota Avalon has been updated inside and out for 2016, with a great new look and more standard features. Come see all that is new at Toyota of Southern Maryland in Lexington Park, conveniently located for shoppers from Prince Frederick or Mechanicsville, MD as well as the surrounding Southern Maryland communities. The 2016 Avalon uses a further refined version of the 3.5-liter 268hp V6 with a 6-speed automatic, powering the front wheels. The roomy Avalon is aerodynamic, and that helps it get to 60 mph in about 6.5 seconds while still being about to stretch a gallon of gas more than 30 miles on the highway. Every 2016 Avalon has more features than last year’s models, and they come in XLE, Touring and Limited trim, plus XLE Plus and XLE Premium. The Avalon XLE has plenty of luxury and convenience features, including power everything, rearview camera and 7” EnTune touchscreen controlled infotainment system. The XLE Plus adds more features, and the XLE Premium gets GPS navigation, among other things. The Touring is the sports sedan of the bunch, getting more aggressive wheels and tires, plus a sport-tuned suspension, and unique trim inside and out. 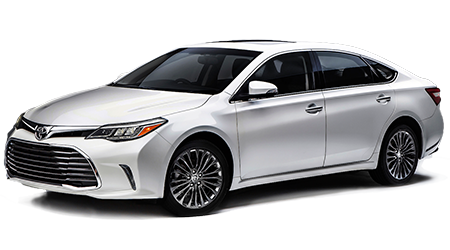 The top Avalon is the Limited with tri-zone climate control, ventilated front seats, heated front and rear seats, rain-sensing wipers, power rear sunshade and high powered premium JBL stereo. Optional on the Limited are adaptive cruise control, lane departure warning, forward collision monitors and more. For a large traditional sedan that is thoroughly modern in every way, try the 2016 Toyota Avalon. Just stop by Toyota of Southern Maryland from anywhere in Mechanicsville or Prince Frederick, MD and take one for a spin today at our Lexington Park, MD showroom.